CALGARY, AB – A new brewpub and BBQ restaurant in south Calgary is now open to the public. Our 200-seat brewpub is fun, cozy and bohemian with a family-friendly, come-as-you-are attitude in a conversation-friendly atmosphere, and boasts open-air views into our microbrewery and large, open kitchen pass. Our food is made from scratch with Alberta ingredients, and focus on Texas-style barbecue, with meats and vegetables smoked and slow roasted in Clifford, our big red barbecue pit from Mesquite, Texas (the biggest BBQ pit of its kind in Canada). We are training our staff to become CiceroneBeer Servers, and we will focus on keeping a large variety of our own beers on tap as well as a few other great options, beer and non-beer. Open since June 12th, Prairie Dog is not yet serving its own beers, but is offering a selection of beers from other local breweries while putting the finishing touches on the on-site brewhouse. Once available, the house-brewed beers will be available on tap and in growlers, with kegs also planned to be wholesaled to select local bars and restaurants. 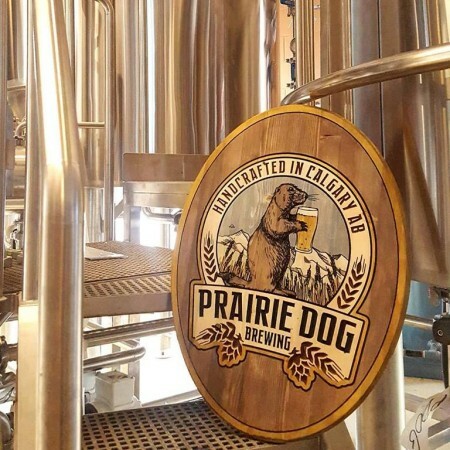 Prairie Dog Brewing is located at 105D 58th Ave SE in Calgary, and is open from 11:00 AM to 11:00 PM Sunday to Thursday, and 11:00 AM to 1:00 AM Friday and Saturday. For more information, see the Prairie Dog website and Facebook page.